Buffalo Self Storage is locally owned and operated by the Buffalo Management Group who has been serving the Buffalo area for more than 30 years. Buffalo Self Storage is locally owned and operated by Buffalo Management Group who has been serving the Buffalo area for more than 30 years. Our first priority is your needs and we deliver a reputable professional customer service with a smile. 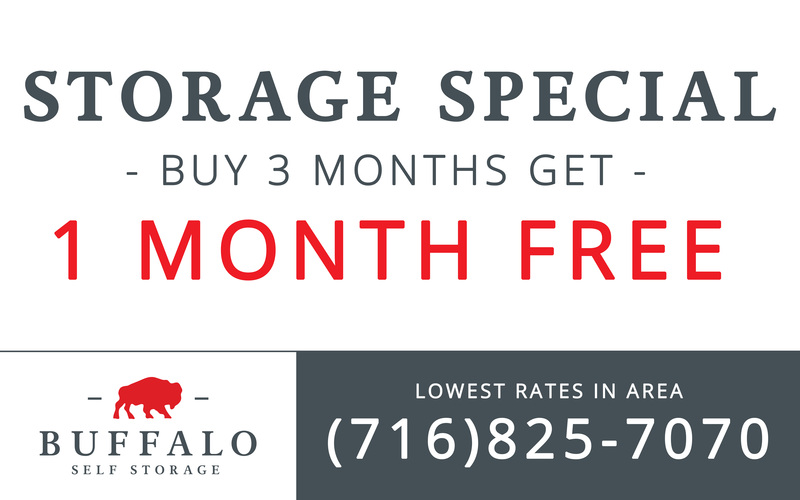 Buffalo Self Storage has a total of 83 units consisting of small 5 x 7 units and as large at 10 x 30 with every size in between. The complex has 24 hr accessibility, elevated concrete floors, well lit, and secure. Evening and weekend hours available, call for an appointment for the best rates in town.Our promises to you; to ensure you are completely satisfied with your experience. Tell your family and friends about us. Conveniently located on the corner of Dingens and Ogden off exit one of Interstate 190. Close proximities to Kaiser town, Lovejoy, South Buffalo, Cheektowaga, Lancaster and West Seneca. It’s also conveniently located to Interstate 90, 219 Expressway, Route 33, and the 400. Looking for an apartment? We offer breaks on storage if you rent an apartment with us. Please visit Buffalo Management Group at BuffaloManagementGroup.com. Located at Exit 1 on the I-190. Means that our units are easy to access. Our property is monitored by 24/7 video surveillance to keep you and your property safe and secure. Our team of experienced property managers are always accessible by phone to address any concerns or problems you may have. How soon do you need a unit? I have lived at the Elliott for over 8 years now. I have never once had to wait for maintenance and have found their online request very efficient. I have lived in three of the Buffalo Management Group properties. All three have exceeded my expectations. ©2019 Buffalo Management Group. All Rights Reserved.